I love rocket launches photos, especially when they are as awesome as this photo by Pat Corkery, featured by the US Air Force. The 45th Space Wing successfully launched a United Launch Alliance Atlas V rocket carrying the second Mobile User Objective System (MUOS-2) satellite for the U.S. Navy July 9, 2013, at Cape Canaveral Air Force Station, Fla. MUOS is the next generation narrowband military satellite communication system that supports a worldwide, multiservice population of users in the ultra-high frequency band. 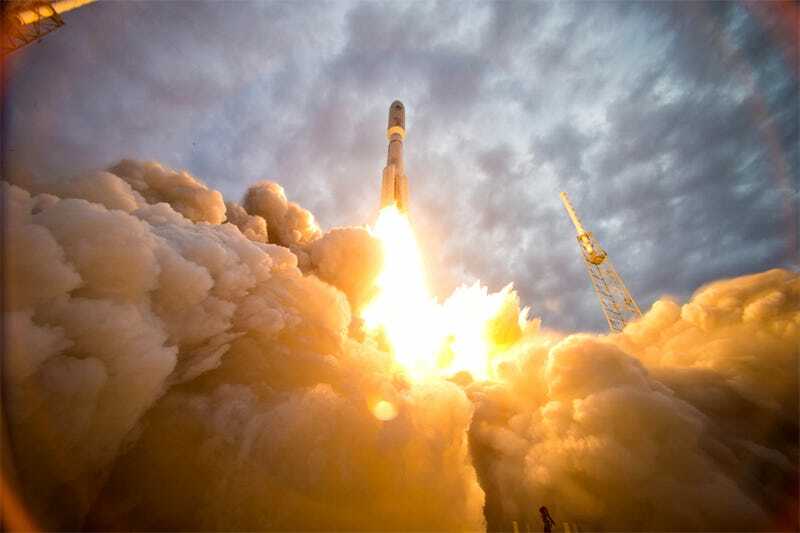 When finished, this new global satellite communications network will use five satellites to provide with narrowband connectivity for the US and its allies.